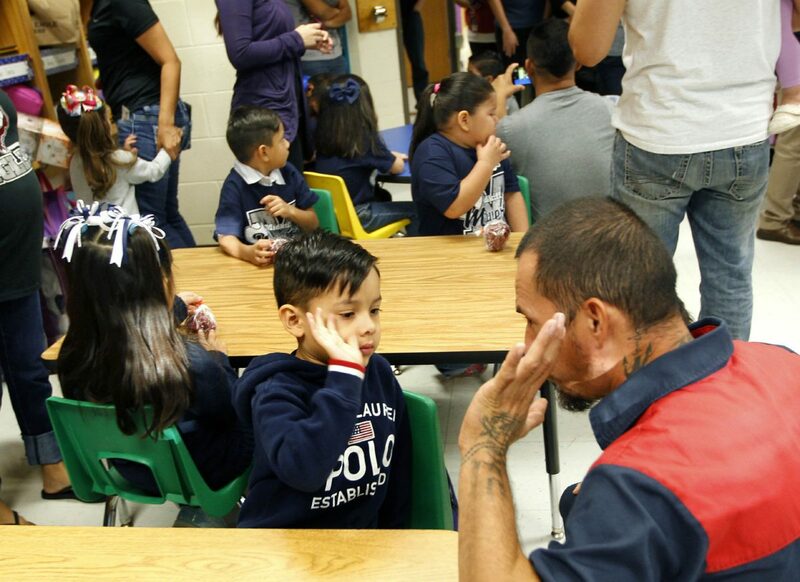 Matiahs Arredondo, 4, gets a high five from his father Julian before the start of his first day of pre-kindergarden Monday August 24, 2015 at Midkiff Elementary School in Mission. It’s one of the most exciting times of the year — back to school. For some it may not be that exciting, while some parents may have been looking forward to this day all summer. Whatever the case may be, it is a fresh start. Some school districts have already begun classes while many begin next week. Whatever your child’s start date was or is, we would like to see photos from the first day of school. Some are starting school for the first time. For others, this will be their last first day of school. We want to see those photos. Send photos to community@themonitor.com or share them on our Facebook, Instagram or Twitter accounts using #rgvback2school. In include your child’s or children’s names, grade(s) and school. We will share as many photos as we can and may publish the photos in Tuesday’s edition of The Monitor.